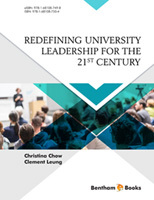 This section examines leadership challenges in the case of the University of Hong Kong. Since the handover of the former British colony to the People’s Republic of China in 1997, Hong Kong has been governed as a Special Administrative Region (SAR) under the “One Country-Two Systems” policy, able to maintain politicaleconomic autonomy from the Chinese mainland. While Hong Kong enjoys the greatest degree of freedom of any city in China, its citizens are worried that this freedom could be eroded with mainland China’s rising influence. The Occupy Central movement, which originated in 2011, evolved into a movement to Occupy Central with Love and Peace by 2013. Its aim was to promote peaceful civil disobedience and protests, with the goal of persuading Beijing to allow Hong Kong to have what they consider as genuine universal suffrage in the election of the City’s Chief Executive. The University of Hong Kong, as the city’s oldest and largest higher education institution and symbolic of the colonial past, was on a political knife-edge. Some of the University staff and students were deeply involved in the Occupy Central with Love and Peace movement. At the same time, the University was experiencing low morale as result of recent changes in governance and management reforms. The University has been transitioning from a collegiate to a corporate model of governance structure, a move which has not been completely embraced by the faculty. Universities in Hong Kong are reviewing their governance structure, since the Chancellor of each university is by default the Chief Executive of the Government of Hong Kong (formerly the Governor of Hong Kong prior to 1997). There have been calls by critics and student bodies to remove the Chief Executive as the Chancellor of the universities. It is in this climate that Professor Peter Mathieson was hired as the University’s new Vice- Chancellor. Mathieson was the first British Vice-Chancellor recruited directly from England since Dr Kenneth Ernest Robinson’s time as the University’s ninth Vice- Chancellor (1965 – 1972). Initially, his appointment was greeted with open cynicism from the University’s community. However, the following chapter analyzes the change in community opinion, as Mathieson showed extraordinary leadership in guiding the University through a complex and delicate situation. Mathieson’s strong principles and close adherence to the fundamentals of the academic mission have stood him well. 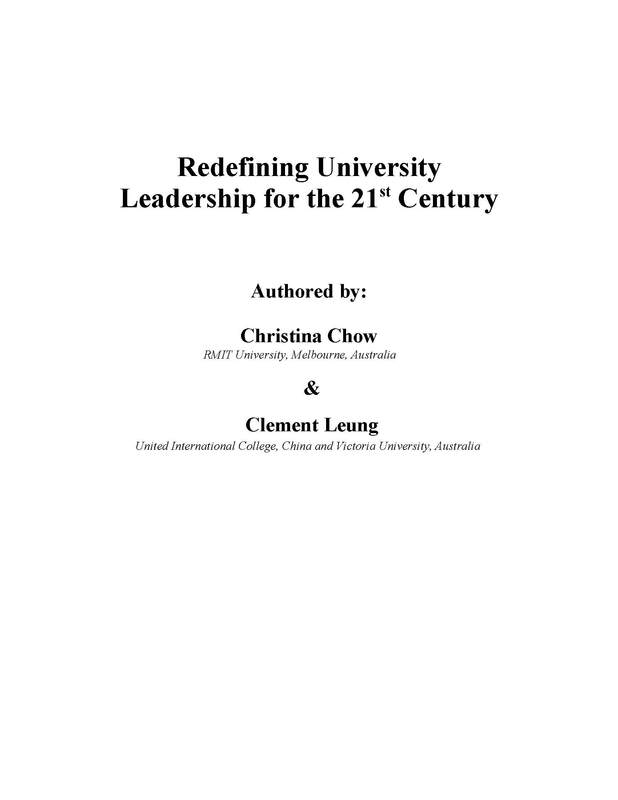 The chapter begins with an explanation of the governance issues in Hong Kong universities, the Occupy Hong Kong movement, and finally, the leadership of Professor Mathieson. The analysis was based on newspaper articles, videos and meetings with Professor Mathieson.